The shortage of court reporters is being felt in Horry County, South Carolina, and Bobbi Fisher of Myrtle Beach, who works as a court reporter in Horry County’s Family Court, says she’s afraid that when her generation leaves the courtroom there won’t be anyone to replace them. Ginny Jones, spokesperson for the S.C. Judicial Department, said that since fewer people are entering the profession and the numbers of new court reporters hasn’t kept up with retirements, machines are the obvious choice to remedy the problem. She said the South Carolina Court Administration is already experimenting with digital recorders. But Jones went on to note that technology is not replacing human court reporters where they are available. If no court reporters are available, the courts are more likely to take plea bargains over trials. Defendants who opt for a trial will have to wait until the proper staff is available. 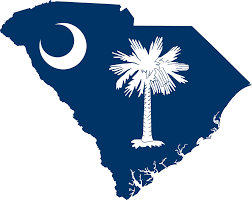 South Carolina Senator Greg Hembree called the court reporter shortage a “huge” problem. He said the government is willing to increase court reporter salaries if need be.